I love the expression on the child's face. What a cute expression! The pumpkin colors are lovely too. She is a cutie!! Love the costume on the sidebar!! 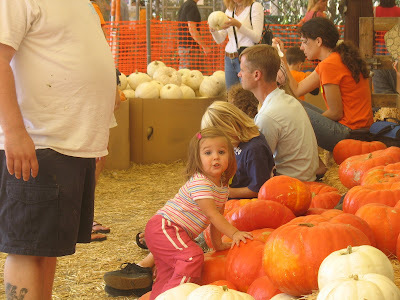 Those pumpkins are bigger than she is! Love her expression. Such a cuties! Trip to Labor and Delivery Part 1.